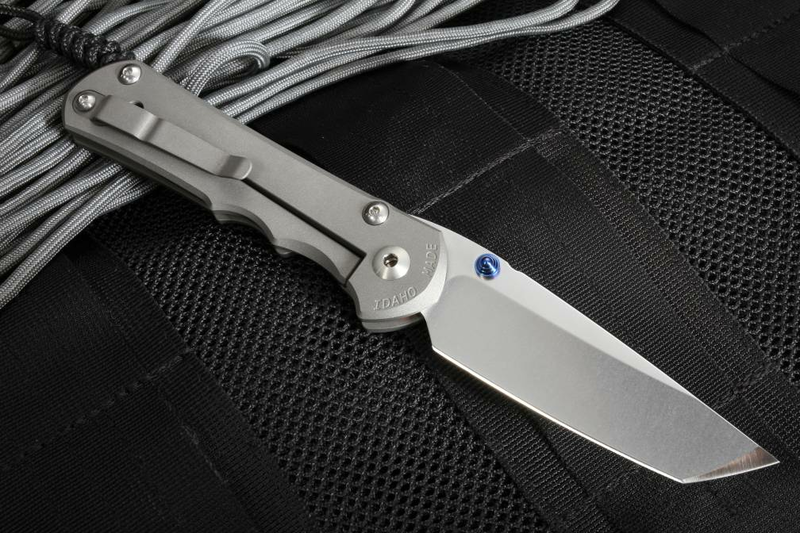 Representing over 30 years of experience designing and crafting legendary knives, Chris Reeve's Large Inkosi Tanto Blade has a reinforced blade tip for rugged use. Meaning "chief" in Zulu, the Inkosi Tanto is a beast of a pocket folder, perfect for utility, tactical, outdoors, and general everyday carry. The Large Inkosi Tanto features a 3.6-inch S35VN stainless steel blade, heat-treated to a Rockwell Hardness rating of 59-60. The blade sharpens and cleans easily and holds its razor-like edge extremely well, requiring resharpening only sparingly. The sleek, Tanto blade shape adds extra strength to the tip, allowing for excellent puncturing, chisel-like cutting and slicing capabilities. With exceptional resistance to wear and corrosion, the Inkosi Tanto holds its place firmly as the chief among heavy-duty pocket folders. 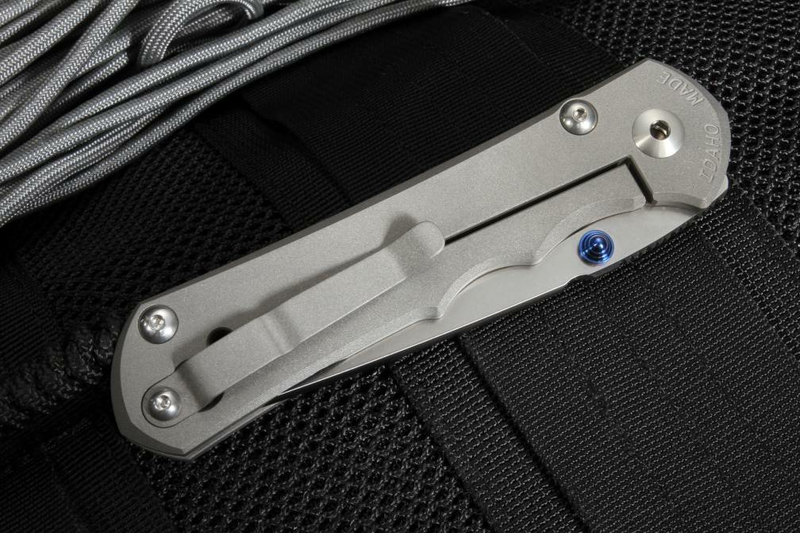 This is CRK's heavy duty, large folding knife with a rugged tanto blade shape. 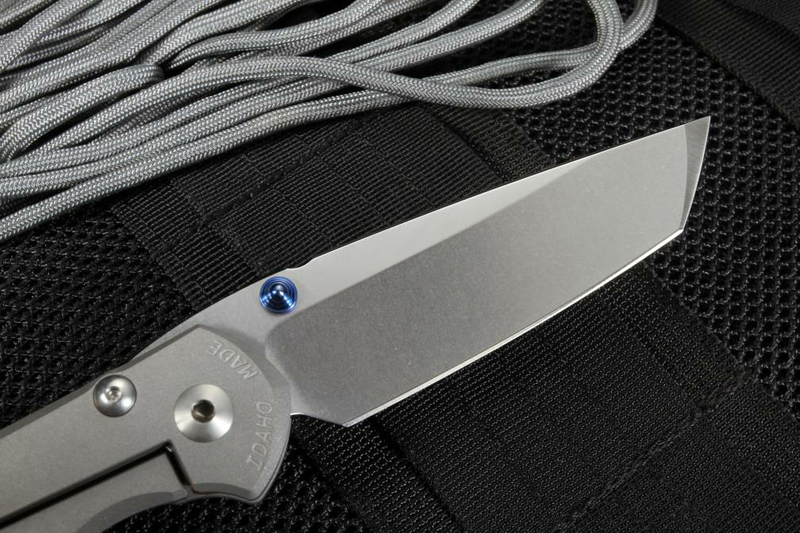 Crafted from lightweight, aerospace-grade 6Al4V titanium, the Inkosi Tanto's 4.8-inch handle allows for a sturdy, uncompromising grip while the blade is in use. 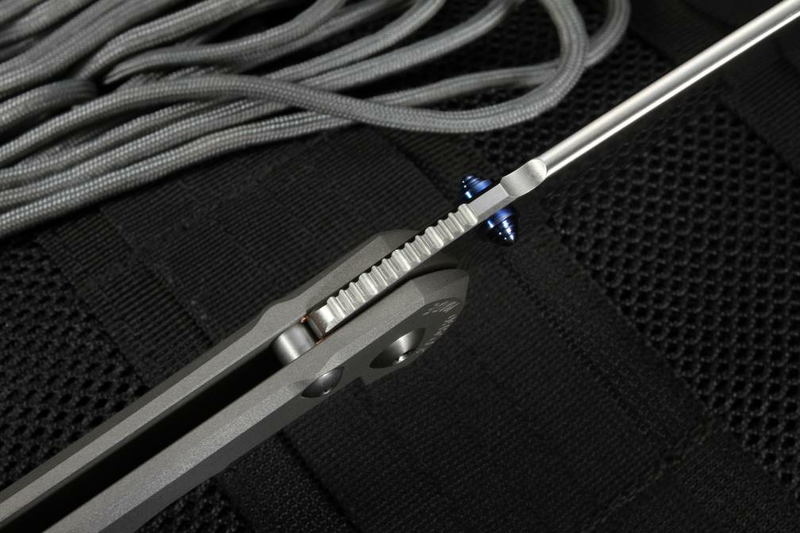 Built with Chris Reeve's Integral Lock, a system that offers a sturdier hold than more traditional liner locks, the Large Inkosi's blade is held tightly and securely in place, both when closed and deployed; lessened susceptibility to slippage or accidental means the Inkosi Tanto will keep working after other knives have thrown in the towel. The inkosi model features the ceramic lock bar interface that provides exceptional lock longevity and security. Dual thumb studs accommodate easy opening and closing for right-handers and southpaws alike. 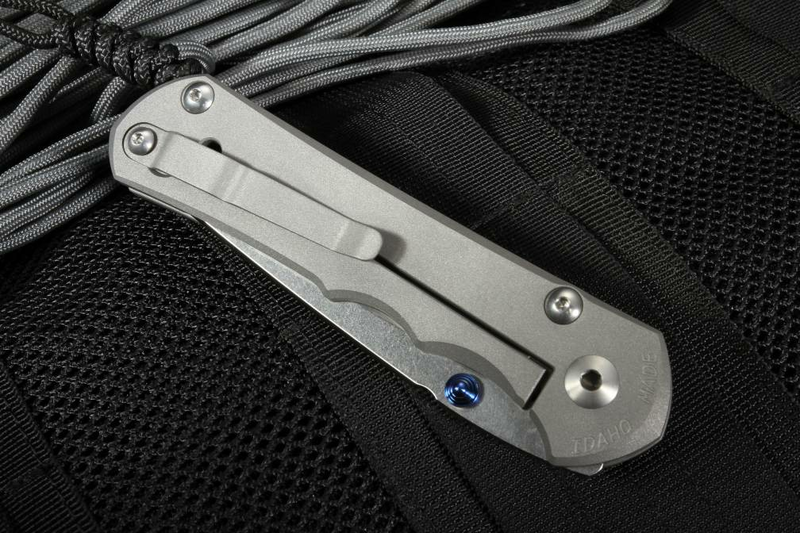 A sleek, titanium pocket clip and lanyard hole allow for a multitude of carry options and an overall weight of just under 5 ounces allow for comfortable carry wherever you go. 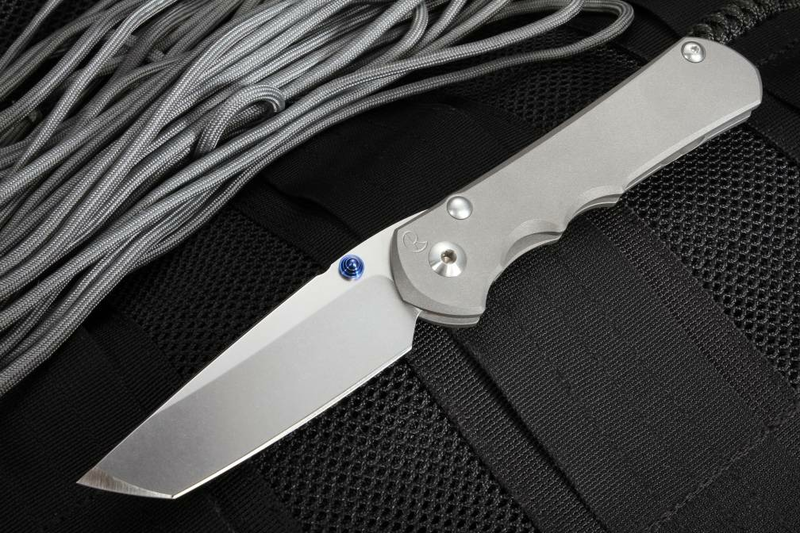 Chris Reeve's Large Inkosi with a tanto blade is a hard-working, heavy-duty pocket folder designed to lead the pack in any situation. Crafted in America with the highest quality materials a commitment to craftsmanship and performance, this Tanto is built to withstand the harshest conditions without backing down. 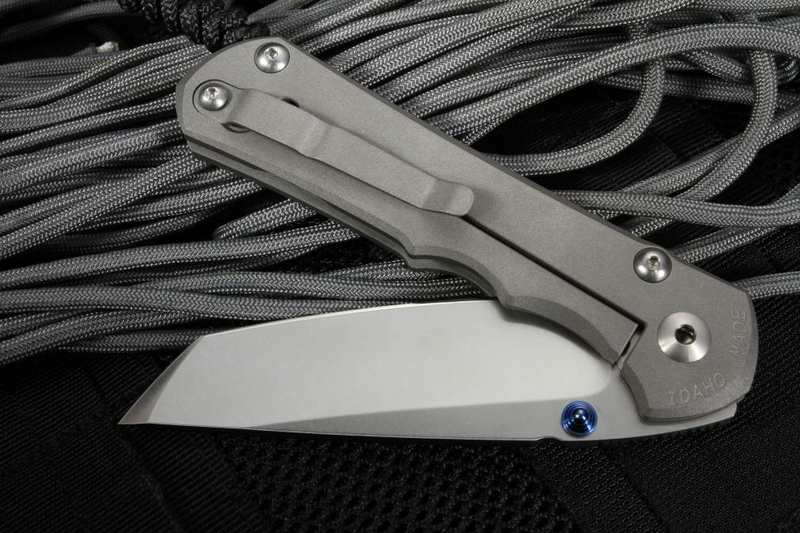 As an authorized Chris Reeve Knives dealer, KnifeArt.com is pleased to offer this powerful and exquisite folder backed by our full satisfaction guarantee, hassle-free return policy, and fast, free domestic shipping. Order yours today!